PITTSBURGH—-“The stench and grime of shaft #7 was part of your heritage”, the hilarious narration intones, as the story of two pals with balls and a dame with moxie unfolds over 90 ‘socko’ minutes. 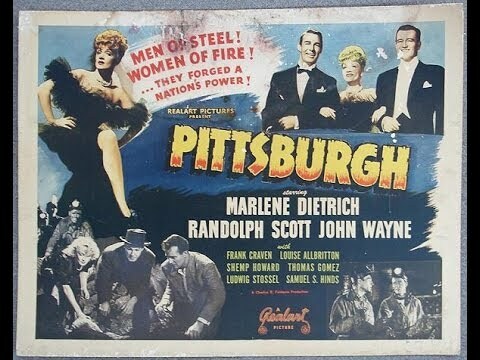 Following their popular teaming in The Spoilers, earlier in the same year (1942), Universal put Marlene Dietrich, John Wayne and Randolph Scott together again in this flagwaver extolling the charms of coal-tar and blast furnaces. 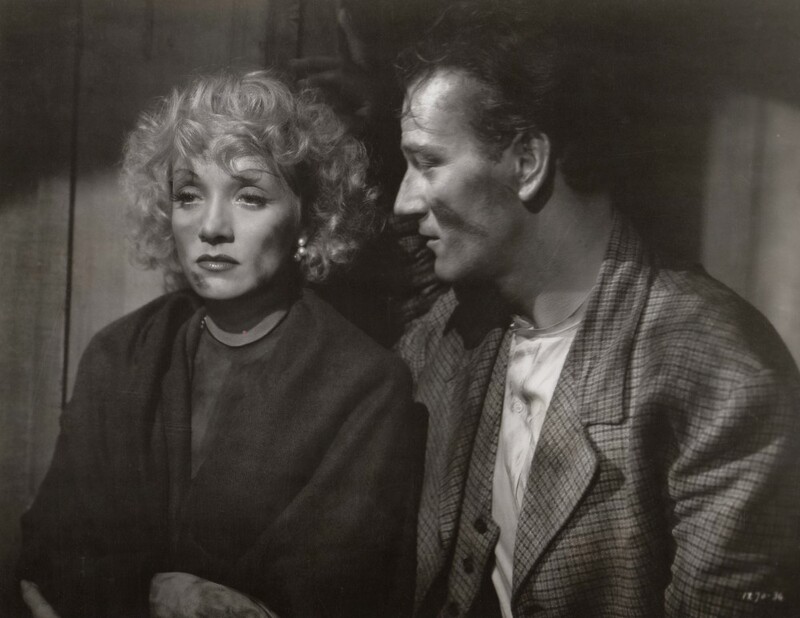 This time, Duke is the bad-good guy, stopping at nothing, saying to Marlene “You’re my kind of girl. We’re cut from the same chunk“, and “I thought you were the royal Magoo, and you turned out to be just a Hunky.” How can she resist? Randy has to bat some sense into him, and the picture is predictable, corny and fun. 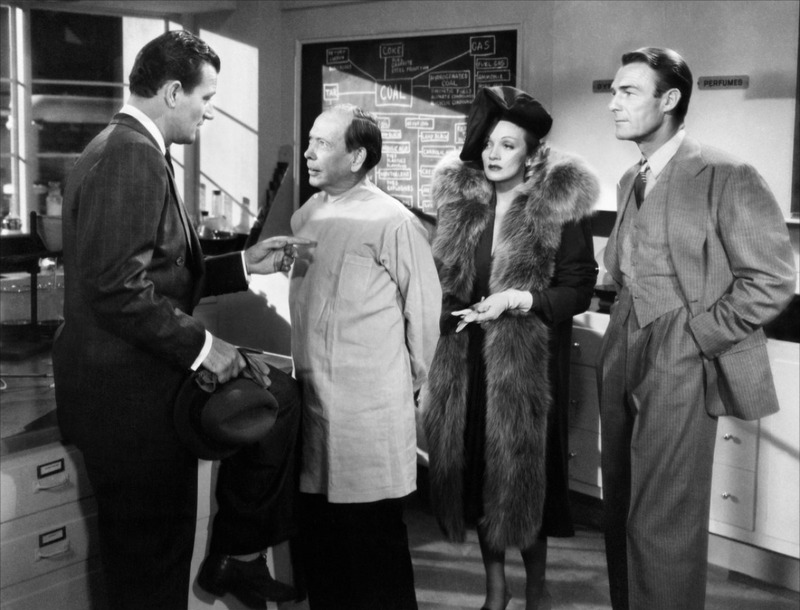 Also featuring Frank Craven,Louise Allbritton, Ludwig Stossel, Shemp Howard, Paul Fix and Douglas Fowley. 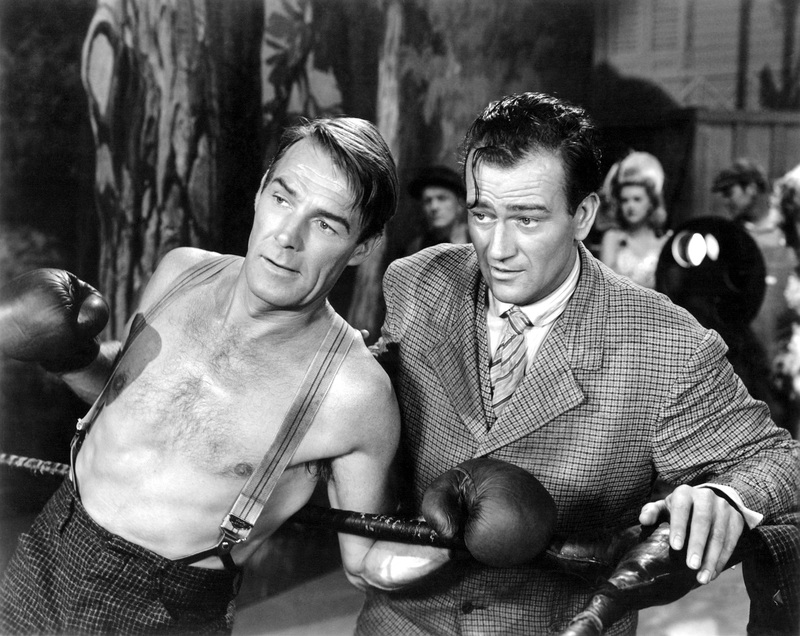 Directed by Lewis Seiler, it was popular in its run, making $1,900,000 on a cost of $631,000. It also marked the end of the not-too-discreet affair Dietrich and Wayne had been conducting since meeting two years earlier in the Universal commissary prior to working in Seven Sinners.